We have created an online cookie ordering system to allow you to pick and create your own unique cookie gift. 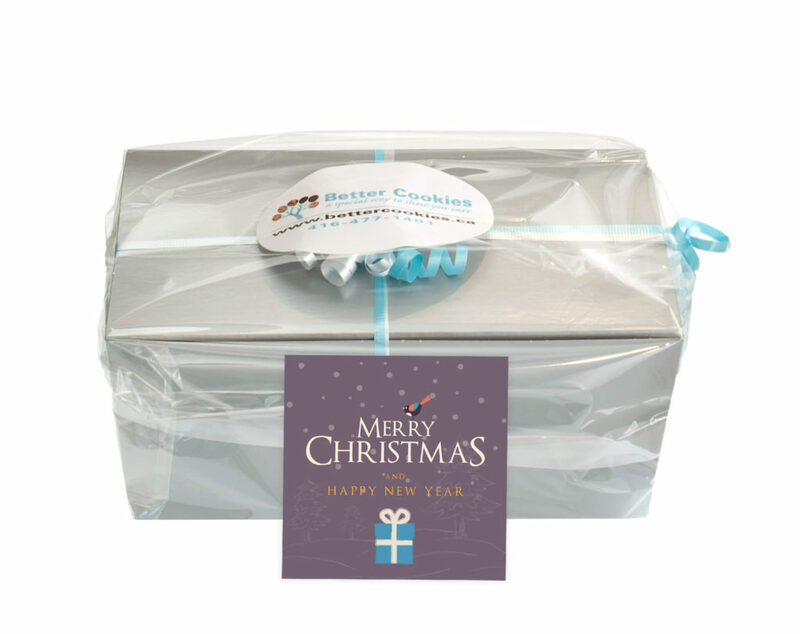 With this system you are able to pick the varieties of cookies you would like included in your gift. 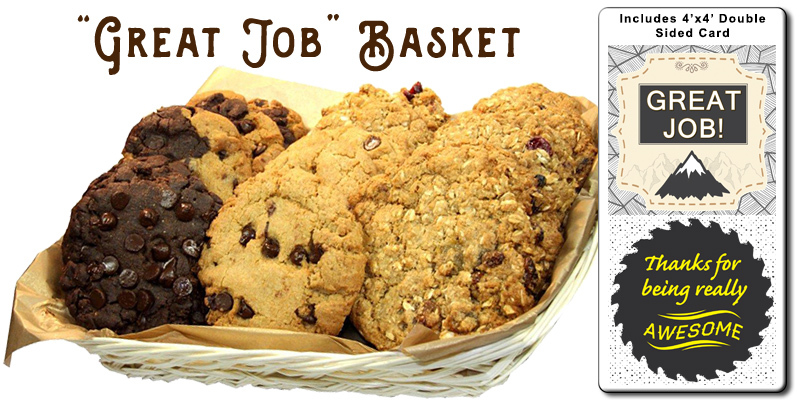 All cookie gifts are placed online through our website and delivered within Canada. We are now located just outside Oakville in Burlington, Ontario. A short drive from Toronto and the surrounding cities in the GTA. Christmas is a time of giving — for the sheer joy of giving, or as a show of appreciation for the great work someone does for us. We love Christmas in all it’s facets — from Christmas music playing in every store, presents on display everywhere, and creating the perfect gifts for companies to give to co-workers, clients, friends and employees. 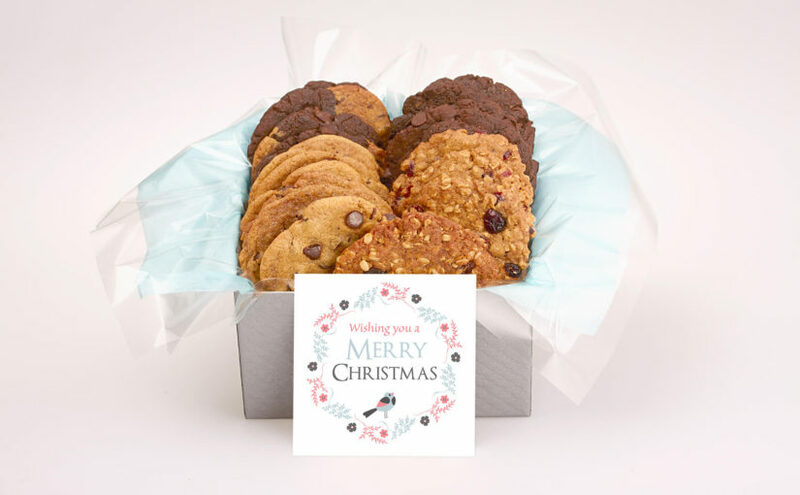 The gift of cookies — a basket of cookies, a box or even a gift bag of cookies is a delicious way to show you care. It is important to plan your corporate gift giving to take into account many factors. As we want to ensure your gifts are awesome, we would be happy to provide suggestions and our assistance in the process. One of the most common questions we get about holiday corporate gift giving is what date should the gifts be delivered on. When you are considering the best date to send your gift, please take into account where the cookies are being delivered. 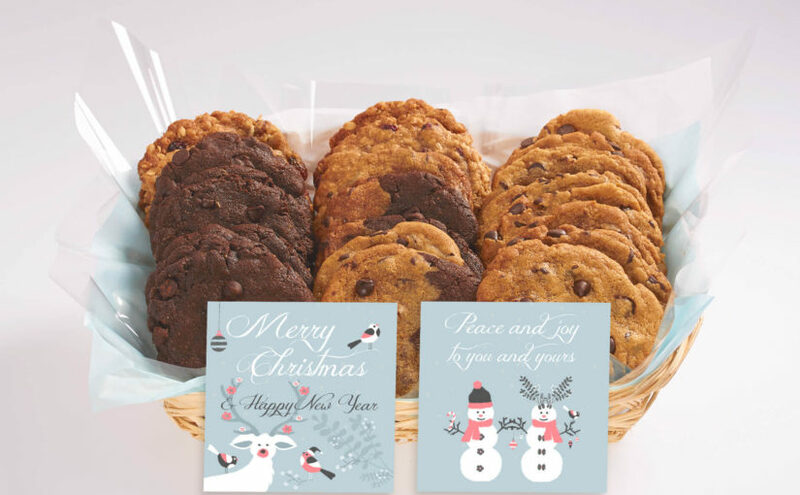 For cookie deliveries outside the Toronto area, a delivery date of Tuesday to Thursday is best to ensure the cookie gift is received in a timely manner. In general, it is best to avoid delivering cookies to an office building on Friday during the holiday period as many people take the day off. We are now entering the holiday season and there is still time to send a unique holiday cookie gift. With office parties and getting together to celebrate with friends, December can be a both busy and fun. Amid this festive revelry, finding the perfect holiday gift is sometimes a challenge! Many people and companies are often left searching for gift ideas for the holidays. This is especially the case in a society that is filled with an overload of instant gratification and a lack of time. Finding a great holiday gift can often be seen as a problem and for some an opportunity? It comes down to how we interact with our experience and how we use our minds. We love having the opportunity to help during this time of year with our unique Holiday cookie gift baskets and boxes. Now that is it February and Valentine’s day is on our minds, companies are often left looking for the perfect corporate gift for their employees. Trying to figure out how to thank those who work with us, or for us can be a challenge.